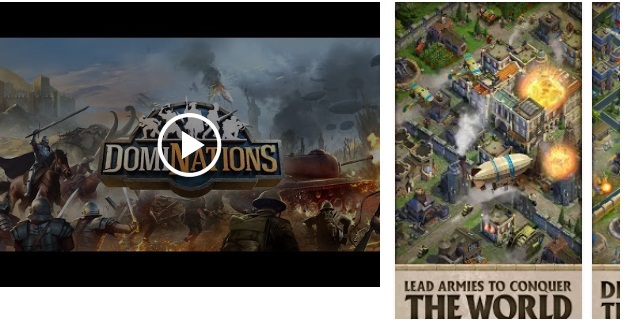 DomiNations Android App is a very interesting game. It is a strategy game which will help improve your brain. It helps to think and move. Here you are supposed to build a unique village of your own design and creativity. You will have to bring the loyal citizens from the dawn of antiquity to the modern era by your efforts. You will fight cooperatively and competitively with players from across the world. Raid and loot for good deeds. When you enter the new University, you will have to consult Leonardo Da Vinci, Catherine the Great, King Sejong and other historic thought leaders to strengthen your Nation! While you are on your mission, you will enjoy the play. You will find some actual events from history and collect rare rewards to help your Nation advance! Download this unique game and enjoy!